Established in 2010, Kabuki Boy is a Sydney-based boutique marketing and promotions company that specializes in product sampling and brand seeding within Australia’s entertainment industries. From gala award nights to red carpet premieres to special event functions and VIP celebrity gifting, Kabuki Boy connects events, clients and brands with the right people for the best results. Goodie Bag, Swag Bag or Gift Bag, no matter what you call them, everybody loves one. But Goodie Bags have often been considered an afterthought and handled as such, yet their impact remains invaluable in terms of branding, marketing and promoting your brand. A good Gift Bag can be instrumental in projecting brand perception and nurturing relationships with both clients and consumers. That’s why a Kabuki Boy bag is far more than a mere PR tool. With a deep commitment to your event, an appreciation of your guest list and an understanding of your goals, Kabuki Boy will source quality products from leading brands and innovative labels that are relevant, engaging and which connect with your guests to make your final impression a lasting one. Kabuki Boy specializes in sourcing products as well as packing & delivering your Goodie Bags in line with your timetable. From Deluxe V.I.P. Gift Bags for award nights to Red Carpet Premiere goodie bags, Kabuki Boy understands each event is unique and will make sure the last impression your leave will be a positive one. With the rise of the influencer, social media and the 24-hour news cycle more prevalent than ever, the power of today’s celebrity to influence consumers and affect trends has never been more compelling. Which is why Kabuki Boy actively promotes premium brands and innovative labels from Australia and abroad via our exclusive Celebrity Gifting service. Taking a page from our peers who drive the entertainment & music industries in the United States, Britain, Europe, Asia and Bollywood, Kabuki Boy has gifted some of the biggest international and local names in film, television and music through our exclusive Gifting Villas, tailored V.I.P. Hampers (delivered directly to the talents hotel suite if required), and Personal Shopping services. And although we can’t always navigate sponsorship restrictions, or promise actual coverage or activity from our VIPs, we do offer the opportunity of introducing your product to our visiting guests. And of course, discretion is always guaranteed. Everyone loves a freebie. And with traditional advertising avenues continuing to be inundated with competition and most consumers succumbing to ad fatigue, sampling continues to maintain a foothold as a viable and cost-effective means of securing brand & product awareness. For consumers, being able to hold and test drive a product, as opposed to sighting an online, TV or print ad, will more likely result in positive word-of-mouth, customer loyalty and most importantly a quantifiable increase in sales. Holding exclusive contracts with Australia’s most successful cinema programs and boasting associations with various A-list Award Shows and high profile Entertainment Events, Kabuki Boy on average touches 13,000 consumers each month; accessing a number of key demographics that will ensure your brand or product directly reaches your target market. So if you want to directly engage social-media savvy consumers who enjoy bragging about the latest trends and discoveries, then contact us today to discuss our schedule of exclusive and exciting sampling opportunities. For larger events and award nights that have a number of celebrity and VIP guests in attendance, one way of creating a big impact is to host a Gifting Villa. Not only does it create a sense of community and ease for your guests to intermingle and enjoy each others company, all in a safe controlled environment, it also ensures future events will become a social calendar staple. Kabuki Boy can not only organise a number of great brands to gift your talent, but also create a warm, creative space for your guests to enjoy. Including alcohol and food sponsors, live entertainment and Villa Liaisons to ensure your guests are comfortable and relaxed. Discretion is always guaranteed and our experience brings with it a number of insights that will ensure your Gifting Villa will be a highlight of your event for all in attendance. Sydney’s iconic State Theatre provided a stunning backdrop for Australia’s first look at Disney’s live action retelling of Beauty & The Beast, headlined by Emma Watson and Dan Stevens. With over 2,000 eager fans ready to relive the magic at the premiere, Kabuki Boy was able to provide our attendees with a Goodie Bag that reflected the whimsy and fun of the film itself, letting each of our guests take home a little bit of the evenings enchantment. Thanks to our participating brands, the night was an overwhelming success with social media spikes and positive word of mouth bridging the films premiere to its actual cinematic release date. Australia’s most successful cinema program, Chicks at the Flicks hosted an advance screening of the final Fifty Shades chapter at more than 70 locations around the country. Drawing ticket sales in excess of 40,000, Kabuki Boy was able to provide each of our ladies an exclusive goodie bag containing lifestyle, snack and beauty products. Sourcing and distributing products to each location was a monumental task for such an ambitious event, but the resulting social media and word of mouth response proved the night to be an overwhelming success. And while Fifty Shades Freed offered a bittersweet farewell to the series, it reinforced CATF as Australia’s premiere social event. As part of our relationship with ASTRA and Foxtel, Kabuki Boy hosted an exclusive Gifting Lounge, which brought together a number of Australian lifestyle, fashion and tech brands with our celebrity guests, both local and international, who were appearing at the 2015 ASTRA Awards. As part of our commitment to supporting local initiatives, Kabuki Boy partnered with the YoungCare charity to raise both awareness for their important work, and raise funds for a new care facility. The recent Australian Premiere of Magic Mike XXL saw the films Director Gregory Jacobs joined by onscreen stars Channing Tatum and Joe Manganiello for the red carpet walk at Sydney’s Entertainment Centre. As a part of the celebrations Kabuki Boy provided Premium Gift Bags for the cast & crew of MMXXL, as well as visiting Studio Executives. Our Premium Bags featured a number of innovative lifestyle brands and cheeky products including Local Supply sunglasses, Crumpler bags, Vitaman grooming kits, Aussie Bum undies (which were a huge hit with the guys), Fallen Broken Street fashion accessories, Model Co. cosmetics and Fressko’s environmentally friend travel flasks. 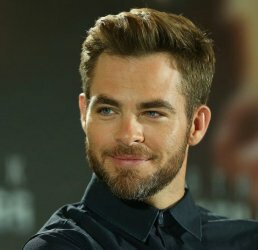 As part of their Sydney welcome, Kabuki Boy was tasked with sourcing a number of innovative, premium and recognisably Australian brands that would appeal to the male stars of Terminator Genisys, Arnold Schwarzenegger and Australia’s own Jai Courtney. Kabuki Boy was able to secure a select number of quality products from leading local brands that included Koalabi Ugg Boots, Vitaman grooming products, Crumpler messenger bags and Local Supply polarised sunglasses. Both Arnie and Jai were reportedly ecstatic with their gifts with Arnold wearing his Local Supply sunglasses during the duo’s official press call resulting in worldwide exposure across traditional and social media. 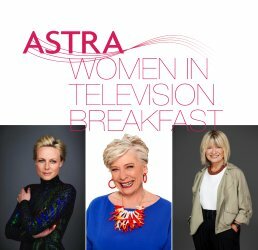 Kabuki Boy is once again honoured to be part of the annual Women In Television Breakfast, hosted by ASTRA (Australian Subscription Television & Radio Association). The breakfast brings together roughly 800 women from Australia’s television media for an engaging morning of networking and empowerment, culminating in a talks from highly respected guest speakers, each a professional in their selected fields. As a sponsor of the event Kabuki Boy was able to bring together a number of innovative female skewed brands to provide each of our guests with a gift bag that celebrated working women in the industry, while adding a little fun and vivacity to the mornings event. One of Kabuki Boys founding ideas was to create an avenue that put Australian brands, both established and emerging into the hands of influencers and celebrities in hopes of gaining exposure for the designers, while promoting Australian innovation. Our relationship with Australia’s film studio’s has seen us gift a number of high profile talent during their Australian premieres or press junkets including the likes of Katy Perry, Jeremy Renner, Rebel Wilson, Jack Black, Taylor Swift, Tom Cruise, Cate Blanchet and Will Farrell along with the casts of franchises such as Thor, Star Trek, Magic Mike and G.I. Joe. Sydney’s literary blogger and media communities recently had the opportunity to mingle with acclaimed YA fiction writer Laini Taylor at the launch of her national book tour, hosted by her Australian publisher Hachette Books. As part of the exclusive event, Laini took time to speak with media personalities and avid fans, who were lucky enough to receive personally signed copies of her bestselling novels, including the popular Daughter of Smoke & Bone and Days of Blood & Starlight, both of which are currently being adapted by Universal Studios as part of a major new YA franchise. As part of the exclusive event, Kabuki Boy was tasked to create a gift bag for the media and fans alike, as a way for Lani to thank everyone for their support on the night. *Due to date shifts and cancellation all listings are subject to change without notice.